Following equipment was installed in 2018 and is in superior condition: Radio GX1700, shore connection power supply, charger 50Amps,12V to 220V inverter 400W, electric windlass with a "Dunford" anchor and autopilot for tiller. 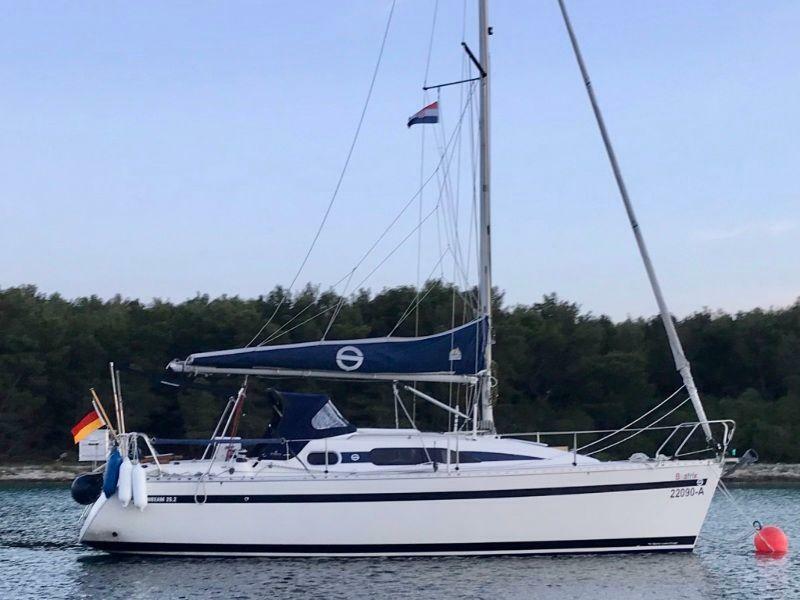 Installed high quality equipment includes spinnaker (gennaker) beam and brand new gennaker sail 40sqm (code zero with Bartels roller). Beyond: Photovoltaic system with controller, 5 separate batteries each for starter/service/anchor/autopilot and fridge, sea water toilet, boat cover, mainsail(beam) cover, fore sail cover, lazy jack, mosquito meshs at skylight and entrance, sun sail, winter cover, mast support, Aluminium stern back crate. folding propeller, sport sails "Ripstop triradial“, etc.. Overall cost for boat and supplemental equipment (incl. VAT) approx. 110,000 €, documented. Yearly antifouling, wax and polish done, boat is first-hand owned and privately offered. Sunbeam 26.2 actually located at Utting / Germany.